Experience a smooth and rewarding drive each and every time with the S700’s all-round advanced suspension. 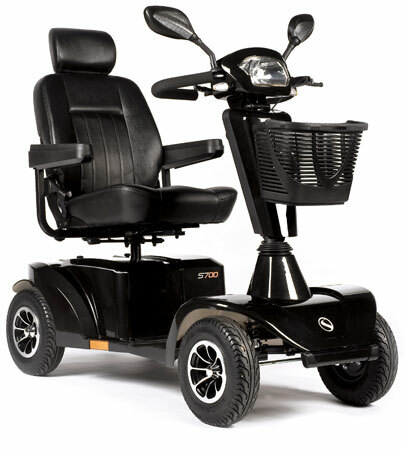 Every wheel has it’s own independent suspension, so whether you’re cruising around town at or travelling over more varied terrain, you’re assured of the ultimate comfort over every bump you may encounter. 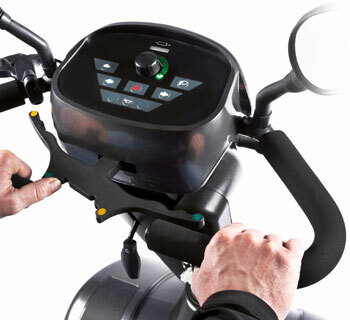 Plus, with bigger 33cm pneumatic wheels, you’ll effortlessly clear any obstacles more easily too. 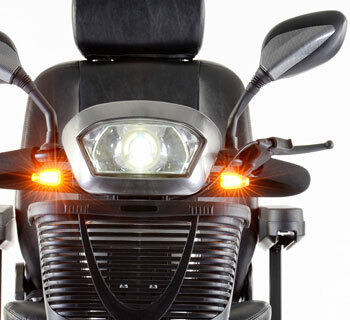 With advanced LED lighting technology, the lights on the S700 mobility scooter are 400 times more energy efficient than standard bulbs, so not only are you using less battery power on every trip, you also won’t have to worry about changing bulbs either. Powerful and approved for road-use, it won’t just be the S700’s style that attracts attention. With 75Ah high performance batteries powering a potential range of 55km, finding your perfect seating position for those long journey’s is effortless with the easy-to-adjust luxury seating. Adjust the seat height, depth and recline to suit your own unique driving position. 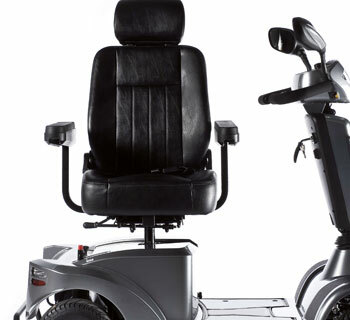 The flip-up comfort armrests are also width, angle and depth adjustable – and combined with the seat rotation ensures that transferring in and out of your mobility scooter is effortless.